The Syrian refugee crisis, whereby millions of people are fleeing war in their home country and are seeking entry into western Europe, has brought the international refugee crisis into the spotlight. In Canada, the image of a drowned Syrian child washing up on a beach in Greece brought home the desperation and tragic circumstances of these refugees, as they make a perilous journey seeking safety and a stable home. This situation is not just restricted to Syrians, the United Nations indicates that in 2015 there are some 60 million refugees and internally displaced persons worldwide, which is more refugees than any time since World War Two. This is truly a crisis of catastrophic proportions. The question raised by ordinary Canadians in this situation is, what can I, one person, do to help? Apart from things like making donations to refugee supporting groups, one direct way to assist refugees is a refugee sponsorship under the Group of Five program. 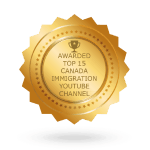 As the name implies, a Group of Five refugee sponsorship requires that five Canadian citizens or permanent residents get together in order to provide assistance to a refugee and his or her family members so that they may be relocated to Canada and given permanent residence. The five Canadians can be family members, friends, or any like-minded individuals who want to collaborate for this purpose. Basically, the Group of Five must agree to be financially responsible for the refugee they are sponsoring for a period of at least one year after the refugee arrives in Canada. They must be willing to cover the cost of the refugees’ rent, food, clothing costs, and other expenses until the refugee is able to find a job and be self-supporting. The Group of Five members also must agree to help the refugee settle in Canada including helping with things like finding schools for their children, enrollment in social services like medical care, and help to find a job. After the Group of Five is formed, the process begins by making an application to Citizenship and Immigration Canada (CIC) to be approved as refugee sponsors. 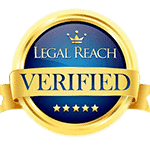 Once this application is approved, the immigration authorities will then process the application for permanent residence by the chosen refugee. Normally this can be a lengthy process, sometimes taking years, but in light of the Syrian refugee crisis, the government has indicated that they intend to speed up the process dramatically. As to which refugee can be sponsored, it is up to the Group of Five to identify the person they wish to bring to Canada. A refugee is basically defined as a person who is outside of their home country and fears return to their home country due to a personalized risk. 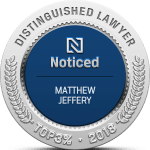 Canadian law also allows the sponsorship of those who are outside of their home country and have been seriously affected by a state of war or armed conflict in that country. If you know of any specific individual who meets one of these definitions, then they can be identified as the person you wish to sponsor. If you don’t know any refugees personally, then you can go to CIC’s website to find a list of community organizations that assist refugees, known as Sponsorship Agreement Holders. These organizations can help you to identify refugees abroad who you can sponsor for resettlement in Canada. 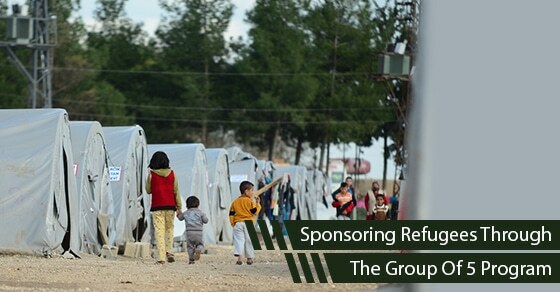 Sponsoring a refugee and his or her family is a truly rewarding experience. After all, you will be making a huge positive difference in the refugee’s life once that person comes to Canada. You will genuinely be able to say that you did something to help people, rather than just standing on the sidelines while the world refugee crisis unfolds. 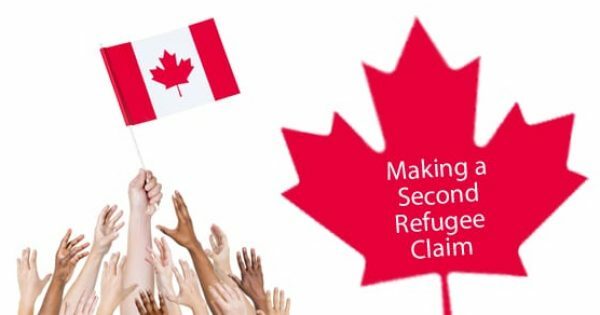 Can You Make A Second Refugee Claim?